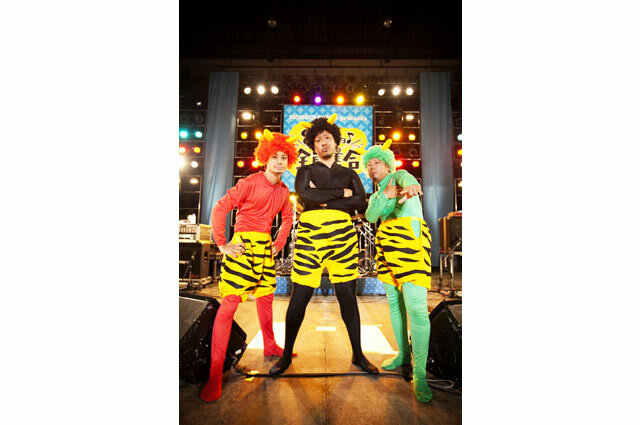 MONGOL 800 is a melo-core band from Okinawa prefecture. The band was formed in 1998 while they were in high school. They are favored for the hard and punk rock sound and the catchy melody. Also, their lyrics coming from their life in Okinawa , taking about peace sinks deep into many audience’s hearts. In September they opened for Hi-STANDARD and in October for BRAHMAN. In December they released their first album “GO ON AS YOU ARE” exclusively in Okinawa. In September 2001, they released their second album titled “MESSAGE” . “Anatani” included in the album was featured in the TV commercial for the detergent “TOP”, becoming a hit song. The album ranked first in national chart in spite of being indie, making the band the pioneer of “Indie Movement”. They have been constantly performing and releasing and their first original album in three years released in July 2009 was titled “eights-hundreds” to celebrate their 10th anniversary . The band went on to the 47-prefecture tour titled “MONGOL800 eight-hundreds tour 2009 “ . In October, they hosted an event named “MONGOL800 ga FESTIVAL What a Wonderful World! !” and in December they had their first arena show titled “MONGOL800 ga LIVE at Nippn Budokan”.